Manufacturers will have to prove that their antibacterial soap is more effective than plain soap, if a new proposed rule takes effect. 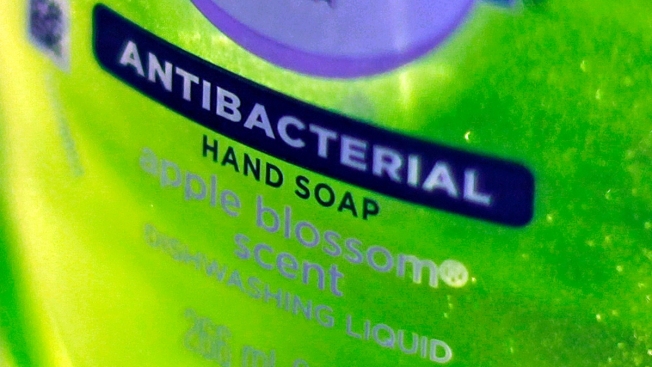 Federal regulators want manufacturers of antibacterial soaps to prove that their soaps are safer and more effective than regular soaps — or else be required to reformulate or relabel their products. The federal government said Monday it has no evidence that antibacterial chemicals used in liquid soaps and washes help prevent the spread of germs, and it is reviewing research suggesting they may pose health risks. The government's preliminary ruling lends new support to outside researchers who have long argued that the chemicals are, at best, ineffective and at worst, a threat to public health. "The FDA is finally making a judgment call here and asking industry to show us that these products are better than soap and water, and the data don't substantiate that," said Stuart Levy of Tufts University School of Medicine. "I suspect there are a lot of consumers who assume that by using an antibacterial soap product they are protecting themselves from illness, protecting their families," said Sandra Kweder, deputy director in FDA's drug center. "But we don't have any evidence that that is really the case over simple soap and water." The FDA proposal comes more than 40 years after the agency was first tasked with evaluating triclosan, triclocarban and similar ingredients. Ultimately, the government only agreed to publish its findings after a three-year legal battle with the Natural Resources Defense Council, an environmental group that accused the FDA of delaying action on triclosan. The chemical is found in an estimated 75 percent of antibacterial liquid soaps and body washes sold in the U.S., including some brands of Dial from Henkel AG & Co., one of the nation's largest soap makers. Most of the research surrounding triclosan's safety involves laboratory animals, including studies in rats that showed changes in testosterone, estrogen and thyroid hormones. Some scientists worry that such changes in humans could raise the risk of infertility, early puberty and even cancer. "We recognize that these are laboratory tests, and the challenge is to understand what they actually mean for effects on humans," Kweder told journalists on a press call. She noted that the government's National Toxicology Program is already studying whether daily skin exposure to hormone-altering chemicals could lead to cancer. A spokesman for the American Cleaning Institute, a soap and cleaning product trade organization, did not respond to the FDA's findings. The group represents manufacturers including Henkel, Unilever, Colgate-Palmolive Co. and Dow Chemical Co.